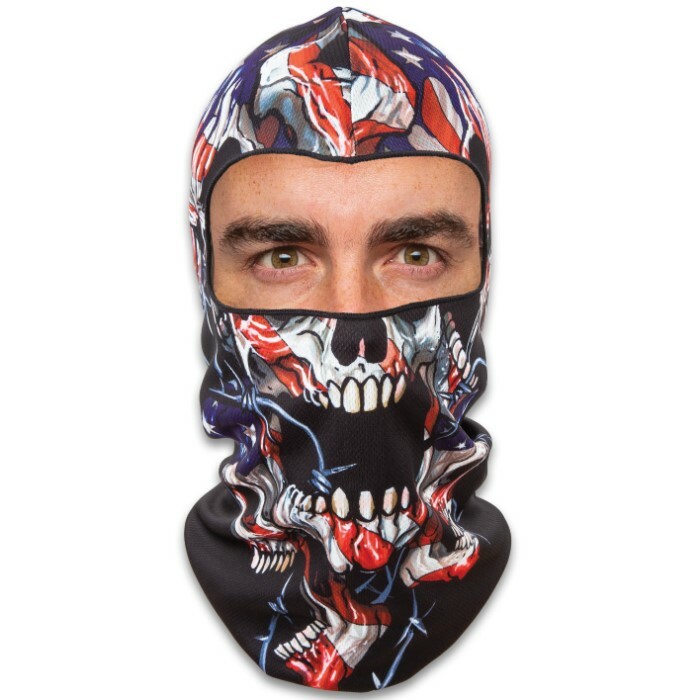 American Flag Skulls Lightweight Balaclava Facemask - Soft And Stretchy Polyester Construction, Breathable, 3D Digital Printed - One Size Fits Most | BUDK.com - Knives & Swords At The Lowest Prices! 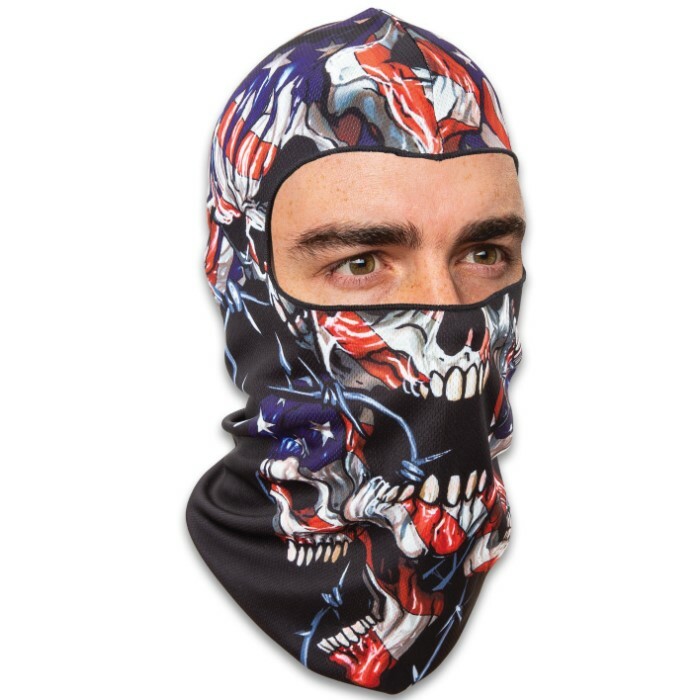 This American Flag Skulls Lightweight Facemask is exactly what you need when you’re riding your motorcycle or out conquering the ski slopes. The balaclava style mask is made of soft and stretchy polyester mesh fabric that is breathable, quick-drying and UV protective. 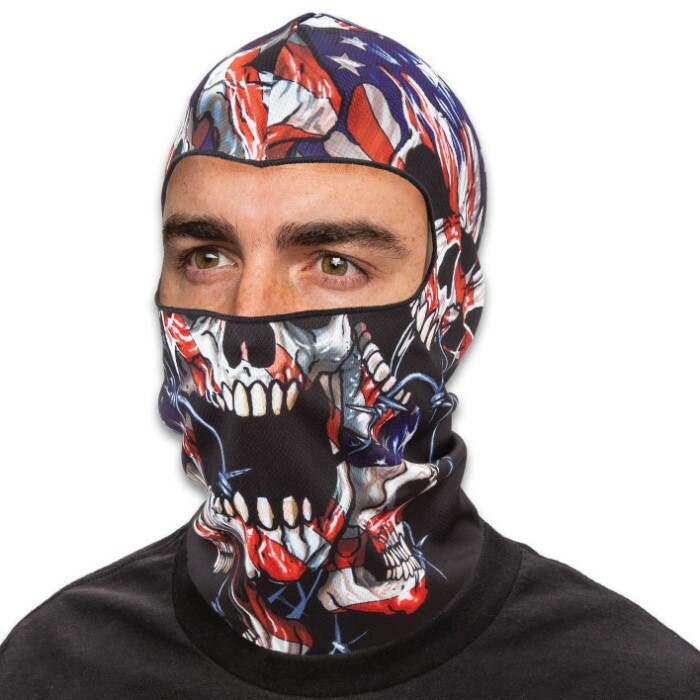 The full head and neck face mask has been 3D digitally printed with red, white and blue screaming skulls, using eco-friendly printing methods. The mask is approximately 15”x 10”, making it one size fits most, and it has a 3 1/4”x 7” opening for your eyes.